About Us | Catimini Canada | European Baby Clothes, Toddler and Children's Clothing in Vancouver - Kidz Global Apparel Ltd.
Catimini was created in 1972 by French couple Monique and Paul Salmon. Best known for its playful and fashion-forward designs, Catimini is inspired by travel and cultural fusions. 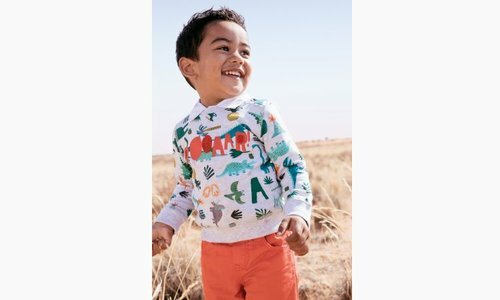 Today, the brand has strengthened its global position as a children’s clothing specialist, expanding to over 40 countries. Each season, more than 700 designs are created. Catimini’s beautiful designs, neat finishes and attention to detail is recognized throughout the world. Kidz Global Apparel Ltd. is a licensed distributor for Catimini products in Canada, owner of the Catimini retail location on 2263 West 41st Ave. Vancouver BC. Our store in Vancouver is the first official Catimini store in Canada. Located in the beautiful neighbourhood of Kerrisdale, we opened our doors in August 2018. Each item has been carefully selected with Vancouver weather in mind. Catimini’s fashionable designs and unique styles allows children from age 0 to 14 to express their imagination, taking them on a creative journey through time.